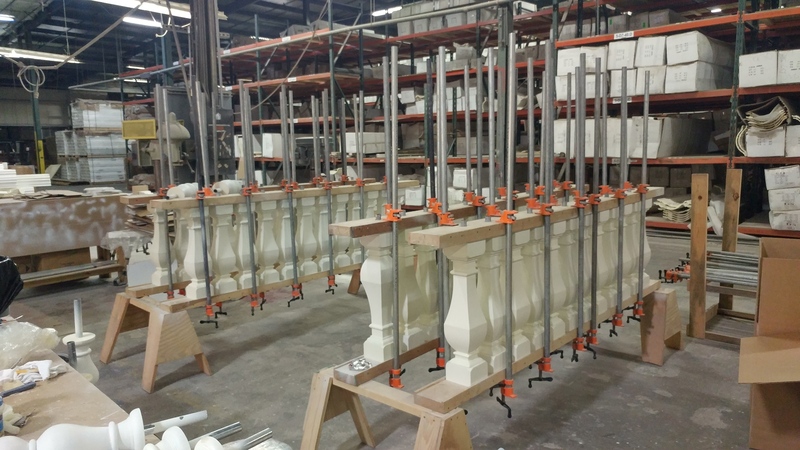 Factor Fridays continue with these impressive Ekena Millwork Arcadian balusters. As seen in the picture, the balusters are individually assembled for customers who requested that option. The baluster team drills holes in the blocks and uses strong adhesive glue to put together the product. The clamp fixtures uses a good amount of pressure to ensure that the pieces are aligned and set perfectly while drying. Additionally, they use this set up to inspect each baluster for any blemishes or imperfections. 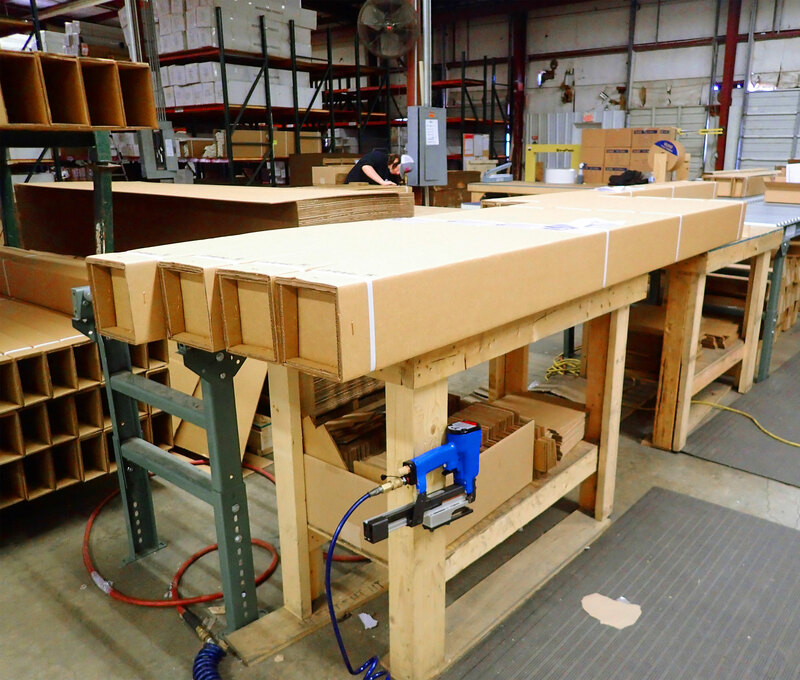 Our warehouse team members are dedicated to shipping the best quality products to our customers. Molded after original historical patterns and designs, the Ekena Millwork balusters are true to make a bold statement of elegance. 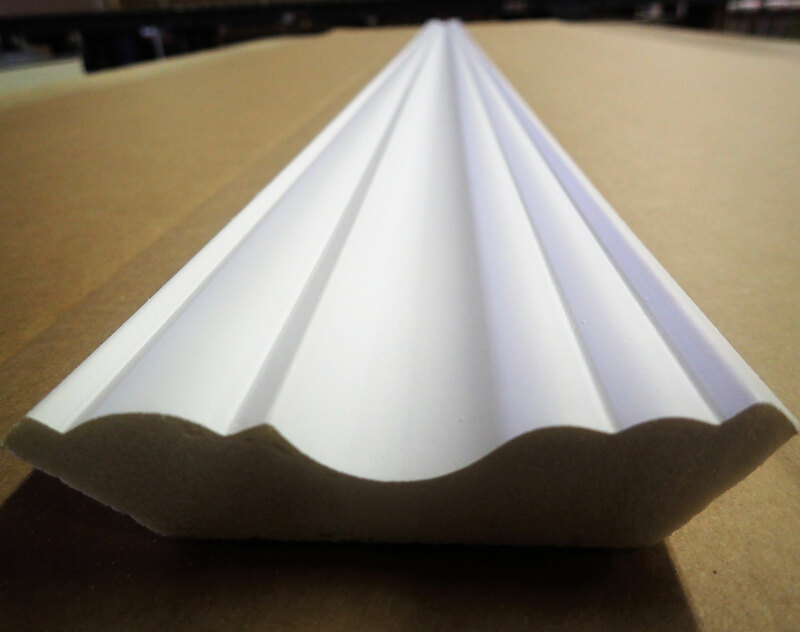 Though they are perfect for both interior and exterior, our customers mainly use these products for exterior applications. Balusters are made from lightweight, yet very durable, urethane material that allows it to be resistant to the natural effects of weathering, rotting and insect exposure. Finally, they come delivered to each customer factory primed and ready to paint or apply a faux finish.